For media inquiries or to arrange a speaking engagement, please contact Courtney Nobile at Hudson Street Press: Courtney.Nobile@us.penguingroup.com. Thea has discussed her book at the following locations. More to come! Wednesday, March 2, 7 p.m.
Saturday, March 26, 10:30 a.m.
SHUTi (Sleep Healthy Using The internet) is an interactive, online program designed to improve the sleep of adults with insomnia. Find out more. Based on Nobel Prize-winning research, this landmark book on stress and aging shows us how to slow—and even turn back—the real biological clock. Gray hair, wrinkles, jowls, papery skin, forgetfulness, extra weight around the belly. We all recognize the signs of aging and think we know what causes them. But what if we’ve been wrong? 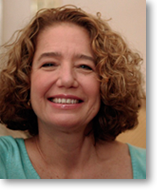 In Stress Less, prominent health and science journalist Thea Singer explores groundbreaking scientific research that compellingly—and directly—links stress and aging, all the way down to our cells. With the help and expertise of Nobel Prize-winning scientists and leading researchers in stress and aging, she reveals that the true culprit behind aging—chronic stress—damages every part of the body, from our hair follicles to the very core of our being, our DNA. From symptoms we all see and feel to the erosion of our telomeres—the absolute tips of our chromosomes—this damage restricts the amount of weight we can lose, affects our energy levels and mood, and can even determine how long we live. Examining a variety of stressors—from sleep deprivation and pessimism to over-exercising and dieting—Singer not only helps us recognize our own triggers, but also provides step-by-step instructions for how to limit and reverse the damage. For every problem stress causes, Stress Less has a solution. By giving us the tools to slow aging on a cellular level, this innovative book provides lasting ways for us to look younger, feel better, and stress less. 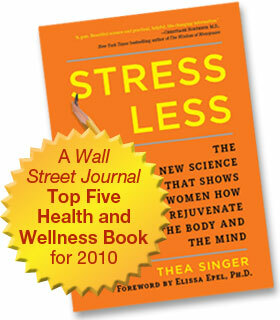 “Stress Less is a very readable and practical guide to counteracting stress that should be read by men as well as women. The book is also full of up-to-date scientific information. –Bruce S. McEwen, Ph.D., author of The End of Stress As We Know It.